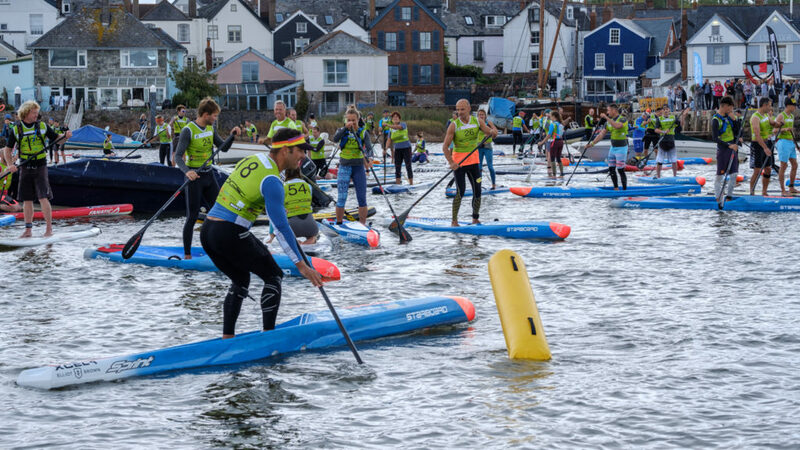 100 paddlers took to the River Exe for the Exe Hammer Challenge on Sunday 16th September, bringing a huge display of colour and action to the Estuary. 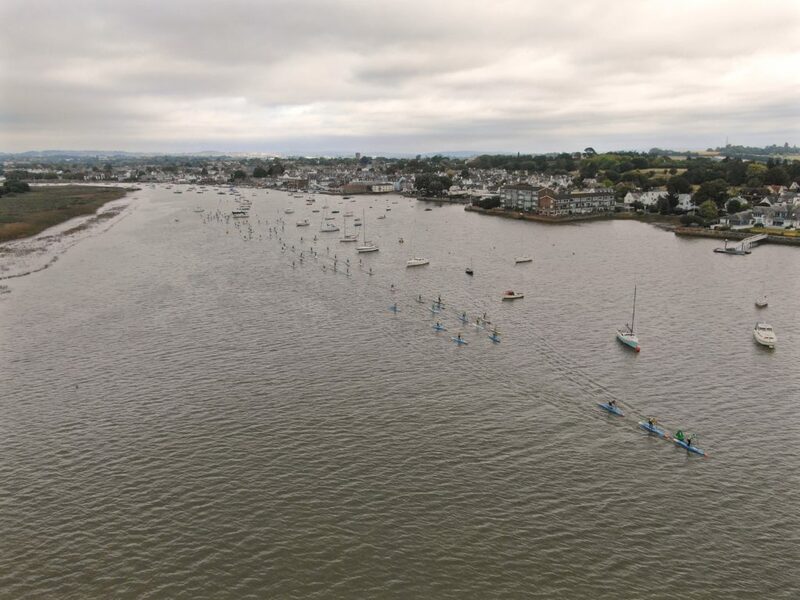 The start line was located at Topsham Quay where glimpses of sunshine lit up the participants as they began the 10km stretch downstream to the finish line off Exmouth seafront. 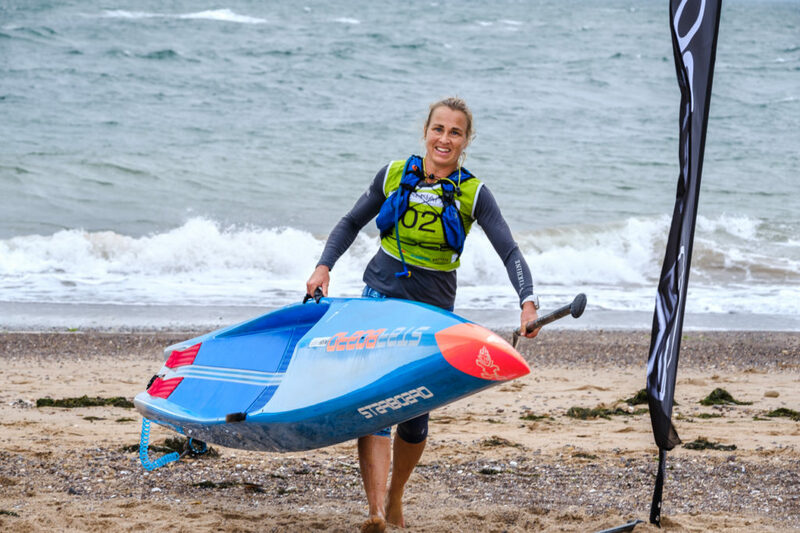 The event drew a crowd of spectators to the seafront to cheer on the finishers as they dashed onto the beach with their boards to complete the race. Competitors and spectators enjoyed a glorious afternoon on the seafront as the sun set on the after party where participants gathered for drinks and the official prize giving. 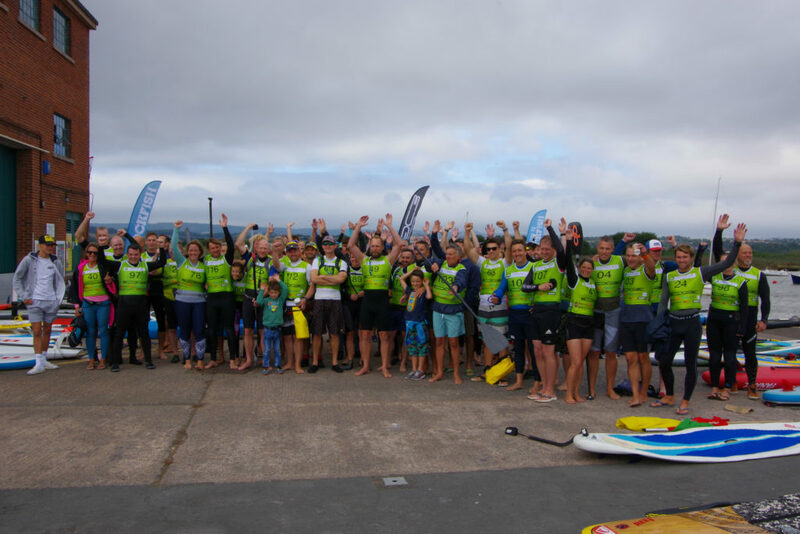 The paddleboard armada’s course ran towards Turf Locks and Starcoss then out through the mouth of the River Exe and on to the landing on the beach of the New Watersports centre off Queens Drive. 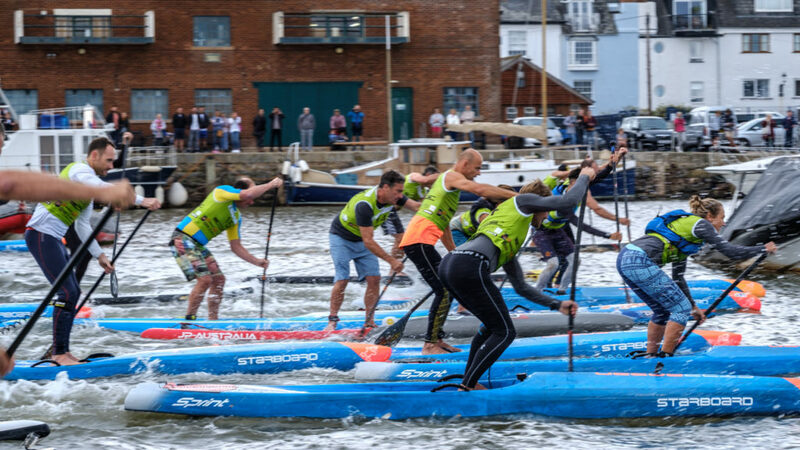 Participants faced a strong headwind as they turned the first corner and paddled away from the Goat Walk in Topsham. The front of the fleet was quickly dominated by the more experienced paddlers who used the river’s topography to gain extra distance on their rivals despite the challenging wind. 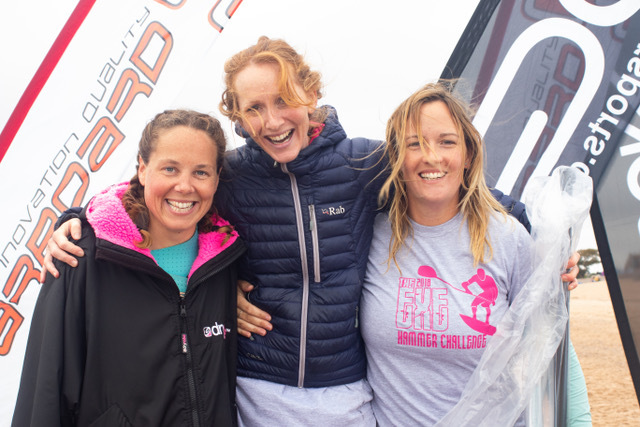 A really impressive performance from Marie Buchan, the last 3 years winner in the ladies’ category took Gold again this year, finishing just a few minutes behind her partner, Paul Simmons and 6th overall. The finish line was lined with huge amounts of spectators all cheering the competitors on and enjoying the high octane action as the paddlers tried to surf the waves in, carry their boards & run through the finish. Greeted with a cold beer & a steady flow of fresh fish & chips being served by Rockfish. 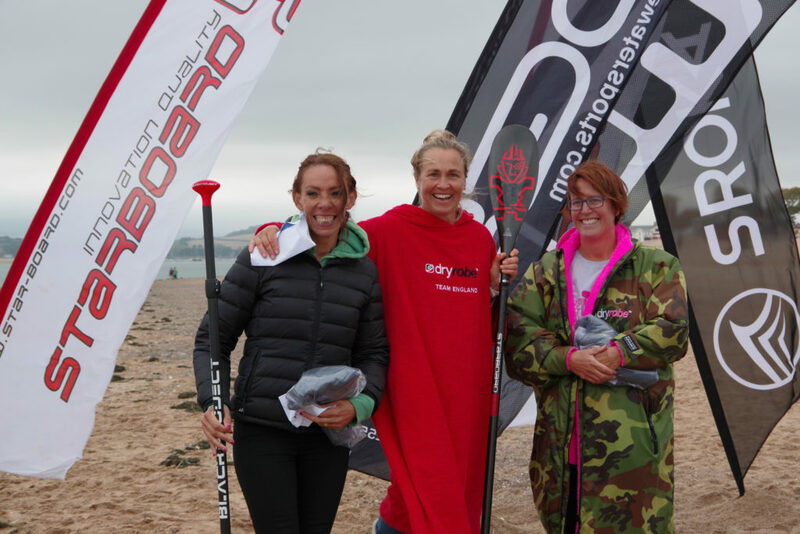 An incredible vibe as everyone really had deserved it – an onshore wind with a mixed sea state made for another memorable ‘Exe Hammer Challenge’. While competitors enjoyed the local ale provided by ‘ Hanlon’s Brewery, they sat in the best restaurant in Exmouth – ‘Exmouth Beach’! with sand between their toes sat around tables eating fish & chips hand delivered and made by Rockfish Exmouth.